Discover the excitment of St. Augustine Fishing with our local captains!! Our Northeast Florida location offers excellent year round fishing from the Intracoastal Waterway to the Gulfstream. We offer over 20 boats to choose from varying in size from 18′ to 62′ foot in length with St. Augustine’s finest local captains! Check out our fleet of St Augustine charter fishing boats. 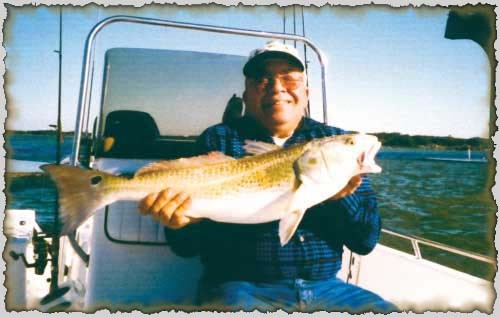 For St Augustine inshore fishing charters, visit Captain James at Drumman Charters. If you would like to try kayak fishing trips, visit Bart at Action Kayak Adventure. 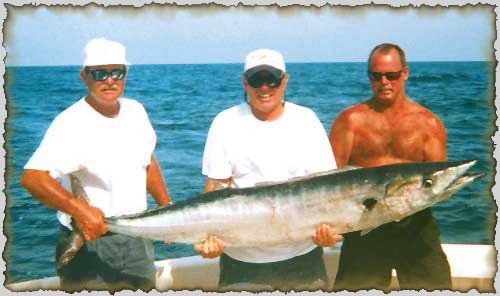 Offshore St Augustine fishing charter trips range from 4 to 12 hours trolling for king makerel, cobia, dolphin, sailfish, marlin, wahoo, and tuna. Bottom fishing for snapper, grouper, trigger fish and seabass. Great deep sea fishing! Inshore St Augustine fishing for redfish, trout and flounder. Specialty trips are available for tarpon and fly fishing. All Charters will depart from the Conch House Marina, St Augustine. If you are looking for a St Augustine Real Estate agent during your trip, contact our partners First Choice Florida Realty. And we would also like to thank out sponsor St Augustine house plans and The Original Granite Bracket Company for their support.